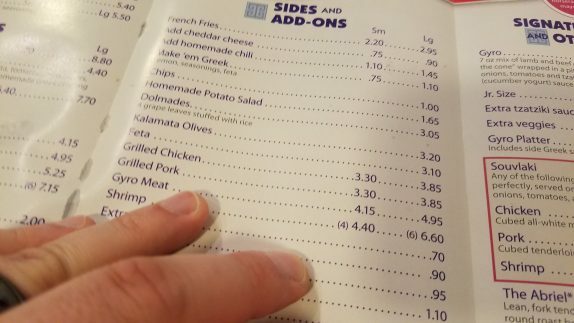 While we were in the hospital anticipating Noah’s birth, on a trip across the street from St. Peter’s Hospital for some coffee, I found a little hole-in-the-wall that had an extensive menu with American food with some Greek items thrown in. 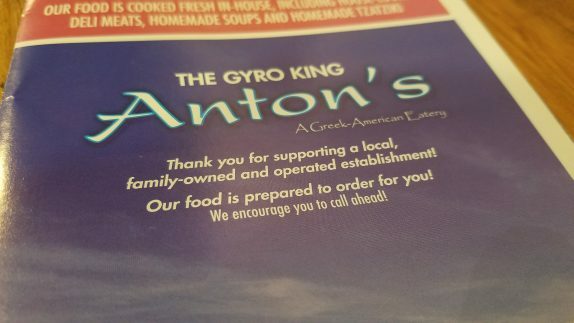 Their menu claims they’re “The Gyro King.” I had to check it out. On the evening Noah was born, I took a little stroll when Cassie was looking to have a nap. 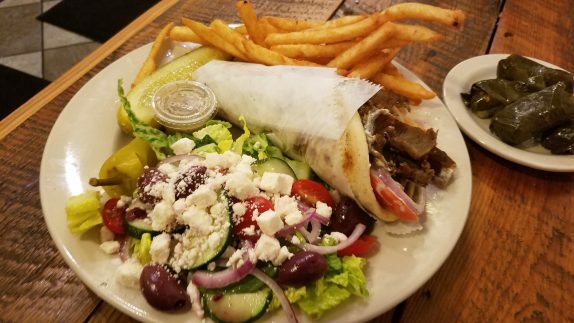 I mainly wanted to try the gyro, but thought the platter with Greek salad and fries was a good deal for $12.10, especially since their menu says to try their salads. 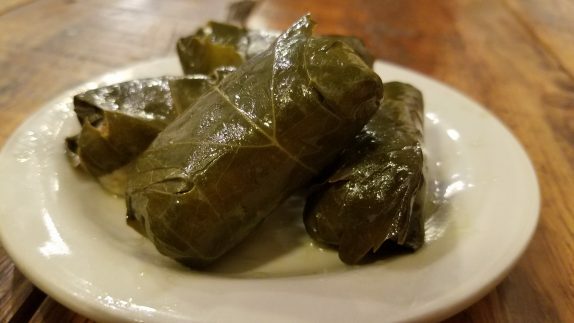 I also tried the Dolmades (grape leaves stuffed with rice) for $3.05. Why not? There are a handful of tables at the back of the restaurant, so I sat down and played on my phone while I waited. I caught a few glimpses of the staff putting orders together, and thought they did a decent job juggling everything that was going on. The Dolmades came out first (they’re pretty much always pre-prepared). These were fairly generic and close in quality and texture to the canned ones you can buy. Even if they’re making these freshly, they’re probably using jarred grape leaves and marinating the assembled product similarly to the canned stuff, so I didn’t really expect these to be terribly outstanding. 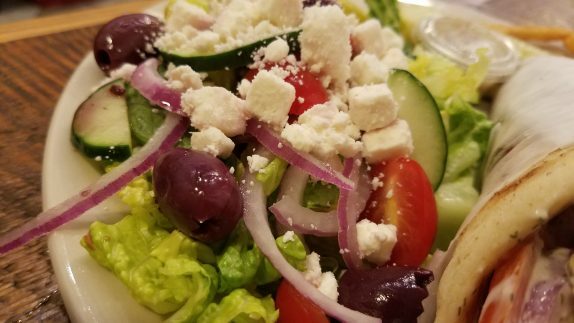 The Greek salad had all of the tenets of a good version: romaine lettuce, cucumber, tomato, thin sliced red onion, Kalamata olives, feta cheese. And it came with a minuscule amount of oregano vinaigrette in a small cup. I was positive that I was going to have to ask for more, but that little cup was just the right amount. I look for the dressing for a Greek salad to bring a big hit of acid to cut through the richness and saltiness of the feta. All I really care is that the dressing gets onto the lettuce. The Kalamata olives were of very high quality. This salad far exceeded my expectations. The fries were standard battered and seasoned cafeteria fries. They’re engineered to be good. I don’t really have much else to say about them. 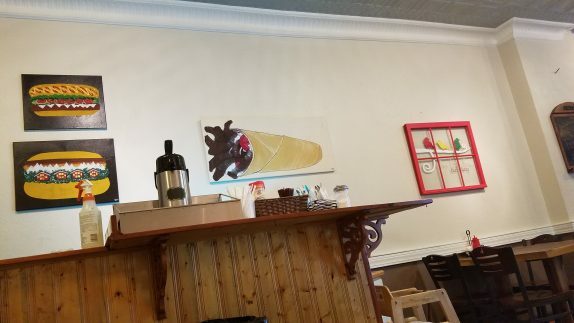 The gyro was phenomenal. 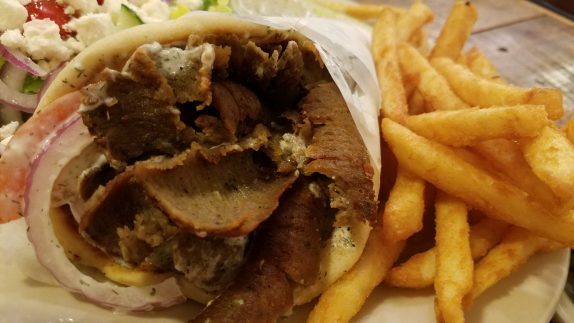 They use the ubiquitous pita bread that is part of every great gyro. All that’s on it is tomato, thin red onion, tzatziki sauce, and gyro meat. They have that spinning apparatus that slowly cooks a loaf of gyro meat and shave it thin for assembly. You have no idea how much of a difference this makes. 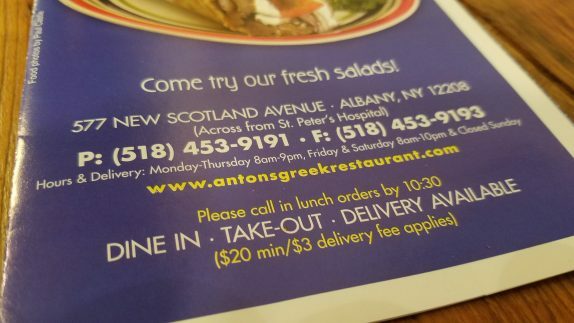 Just about every gyro I’ve had in the Albany area has had pre-sliced gyro meat heated on a flat top, so Anton’s is a great outlier. The tzatziki sauce is clearly made on site and had a great balance of dill and cucumber and the rich bite of European-style yogurt. 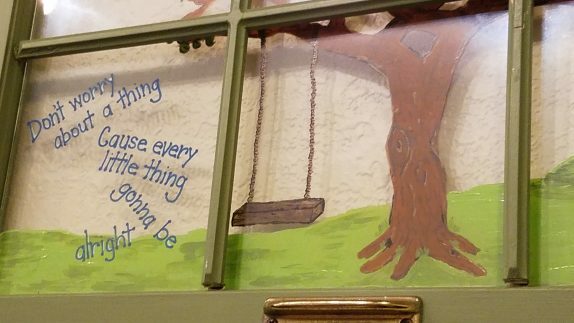 The artwork on the wall was an inspiring nod to the fact that my first child had just been born. I thought that was really cute. The menu advertises a “Free Gift” with first purchase. I redeemed my gift. 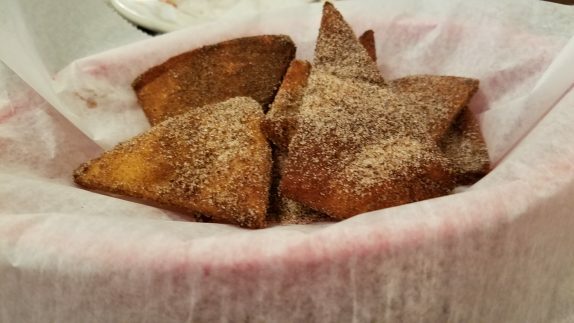 The gift was cinnamon and sugar pita chips. I was stuffed, so these took the walk back to the hospital with me. 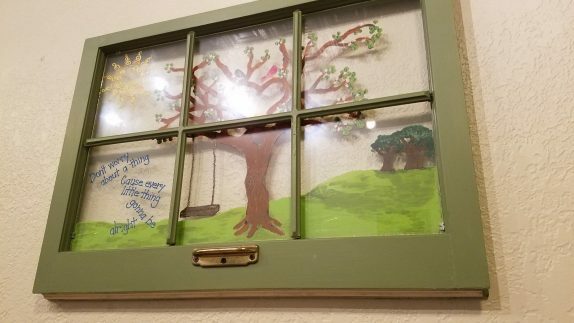 When I got back to the hospital, I talked this place up to the moon with the staff. Some of them never heard of it; others were very familiar and recommended going back for breakfast. So I did on the morning we checked out of the hospital. 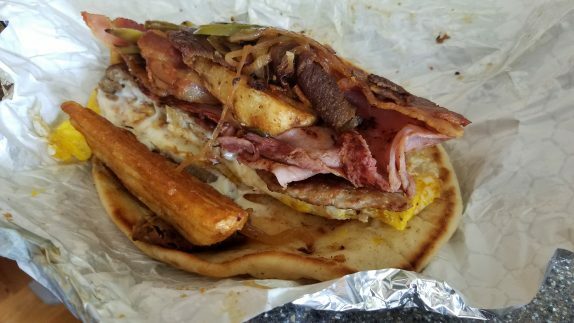 The EJ Grande (warm pita with 2 eggs, sauteed onions, green peppers, home fries, cheese, bacon, ham, sausage, and gyro meat – $8.70) came highly recommended. It’s so much more than a regular breakfast sandwich, and by that point in our hospital stay, I was sick of the sack full of junk food I had been hauling around. It was a mess, a beautiful, delicious mess! 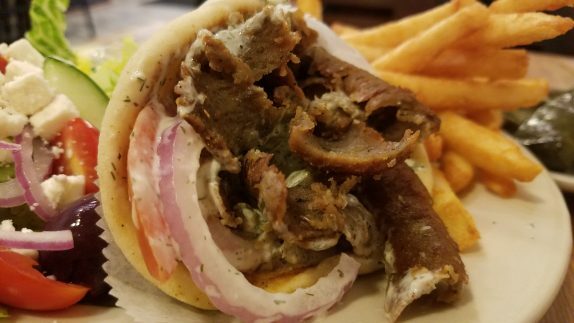 It’s sad that more places aren’t equipped to serve thin sliced gyro meat like this on breakfast sandwiches, but it’s also reassuring to know that this isn’t that easy to come across, because I’d totally eat this everyday if I could. 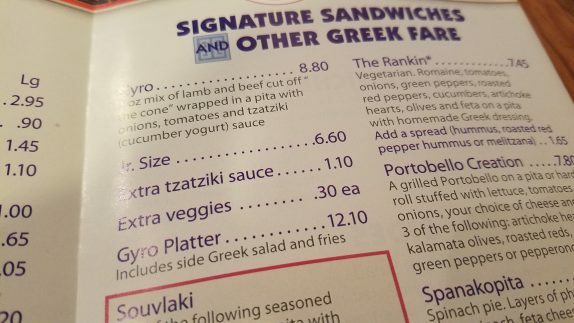 I’ve heard their Greek fries are phenomenal. I’ll have to stop in a try it out. I love gyros.